Meridian Surveying Engineering, Inc., provides professional surveying, planning and engineering support services to Municipalities, Contractors, Developers, A/E firms, Utilities and homeowners. Since 1982, Meridian and RGA have provided services in strategically located offices in the Cow Hollow area of San Francisco, Central San Rafael & Sacramento Delta / Antioch areas to better serve the San Francisco Bay Area. Meridian has a large array of state of the art equipment and can recommend and provide clients with the ideal tool for any survey project; land, air or sea. Meridian's services are scalable and we are capable of handling both large and small scale jobs. Our turnaround time for job completion is among the best in the industry. Our staff has extensive experience and a diverse educational background in Surveying Engineering, Industrial Engineering, Geology, Geography, Mathematics and GIS with related specialties. Whether you need to locate a fence in your backyard or need a hydrographic survey or an array of services for a large construction project, Meridian's services will prove to be both timely and effective. 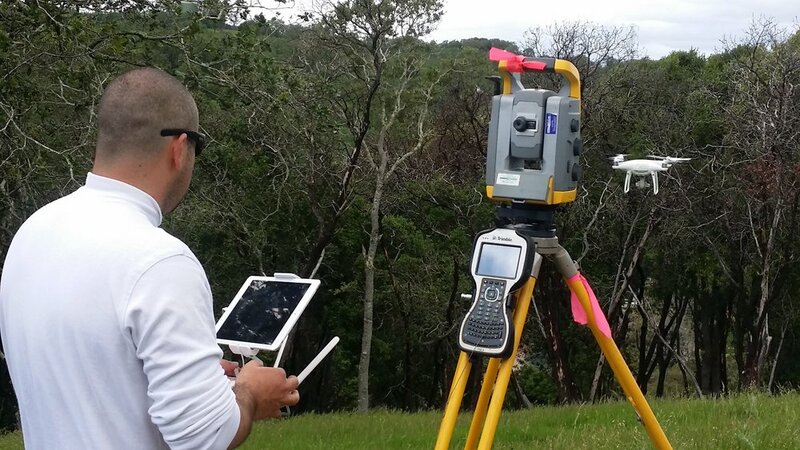 Experienced, Responsive, Professional Land Surveyors Serving California and the San Francisco Bay Area. We are a CA State Certified Small Business Enterprise (SBE) and a City of San Francisco Certified Local Business Enterprise (LBE) and Licensed Surveying Engineers. Meridian Survey offers Commercial Surveys, (Alta, Lending, Finance and Refi Surveying), Drone Surveys, FEMA Elevation Certificates, Hydrographic Surveys and HD 3D Scanning Surveys. Our principal Mr. Gray also often serves as an Expert Witness Surveyor in the San Francisco Bay Area and Marin County. A few of our other specialties include: Settlement Monitoring Surveys (for buildings), SFP Approved Surveys (SFO Airport) and we are also an SF LBE/SBE Surveying firm. We've worked on Schools, Parks, Bridges, Tunnels, Commercial, Industrial, Machine & Crane Alignment and much more. Specializing in Residential since 1989 - Boundary, Easements, Disputes, Topographic mapping. No project too small. An elevation certificate may show your home is above the 100 year flood plain levels. If so, we can file a Letter of Map Amendment (LOMA) to remove your property from the zone designation and exempt you from flood insurance requirements. Precise measurements are taken of fixed monitoring points placed on a structure and measured over time. This is very useful while a neighboring building is going through substantial renovation / construction work. True 3D data captured by Land Surveyors saves time & money for our clients in Oakland, San Francisco, Modesto, Sacramento and throughout California. Single Beam, Multi Beam, Sidescan and Magnetometer Surveys. Past projects have included commercial apartment complexes, reservoir modeling linked to hydrographic, FERC transmission line surveys, as well as commercial plants and developments. If you are in search of a Civil Engineer and licensed surveyor for your crane certification survey, call us today. We can quickly mobilize a team to your location. The ALTA survey is a combination of a boundary survey, title survey, and a location survey needed for Title Insurance on commercial real estate transactions. Make sure your new or remodeling projects comply with the ADA rules and regulations for accessibility. Our Professional Land Surveyor provides Expert Witness Claims Litigation Support and Mediation Services throughout California. Partner with us to meet San Francisco requirements and gain "rating bonus points" when bidding. Extensive experience surveying at SFO including gates, tarmac, terminals, perimeter walls, fuel tank storage and hydrographic survey of surrounding bay waters.